Being multihued: you think it would be something I could I understand very well. In a sense, I do understand the different lifestyle a biracial person leads. My life was different though. I didn’t endure the pains and emotional setbacks that Luckett did. I “received the best of both years” (Luckett 866). Luckett was “exposed to both the ugliness and benefits of multiracial life” -something I can’t say I’ve done. My family was good to me, I grew up quite fortunate, and I haven’t had any really traumatizing experiences. I simply haven’t suffered enough to attain true wisdom. 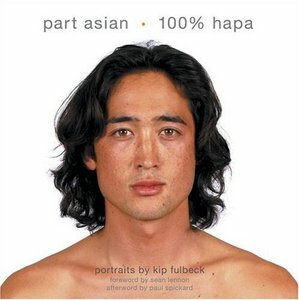 This book is just an interesting photograph journal of people of mixed asian heritage. Betty Nguyen on her half Vietnamese identity. In the end, I’d like to think that mankind is working in the right direction, that we are embracing the good that society has to offer and pulling away from the bad. Part of me wants to say that everything is genetics and psychology, that our choices really aren’t choices at all, but another part of me wants to say that I underestimate the power of free will. Honestly?…I’m not sure. I guess I have time to figure it out.